This isn’t getting mentioned in the media or even in any bloggers so I figured I better scoop this story for all my fellow TNC drivers so that the public knows and understands a current problem that we all have now that is especially bad in San Francisco. In September of 2013 The CPUC decided that ridesharing companies such as Sidecar, Lyft & Uber had every right to operate in California. The CPUC call the companies TNC’s for Transportation Network Companies because they use cell phones to communicate ride requests as well as the processing of payments for rides. One of the little things that was sort of buried in the decision was that all TNC’s much work with local airports to establish an agreement for operating at these locations. 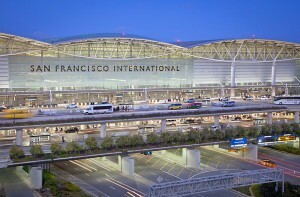 As you know I drive for Sidecar and it was always the general rule of thumb that you could drop off, but not pick up passengers at SFO until further agreements could be reached because at the time that was what the airport had written into it’s laws. Any company doing business on the airport premises or off for the purpose of picking up passengers on airport property had to have an agreement in writing with SFO. Nothing was said about dropping off people so that what we went with. Well, things have changed. 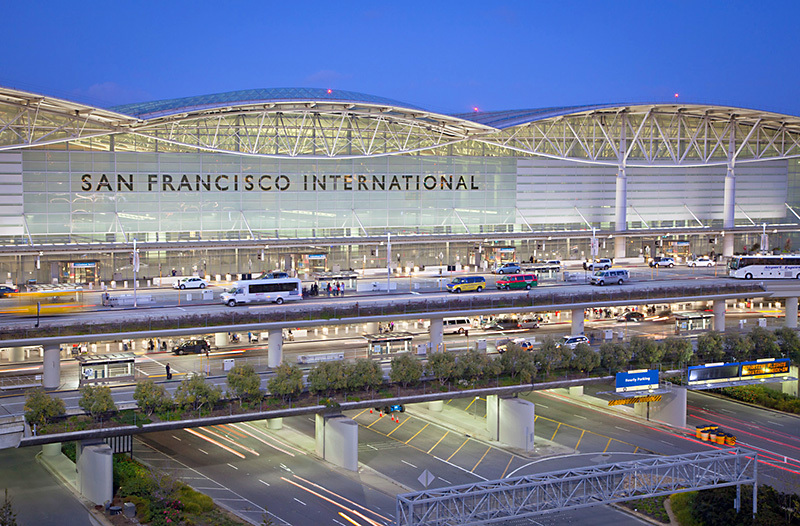 SFO has issued a statement to all TNC’s that until they get a permit from them they cannot drop off or pick up passengers on SFO property. I believe LAX has issued the same statement, but not pretty much every airport in California is like this. From my experience with Sidecar I know that they are actively pursuing the permit, but they have run into a few snags from SFO’s list of items TNC’s need to provide in order to get the permit. This isn’t only a Sidecar problem, but something that all TNC’s have a problem with. Some of the requests are based on old technology that doesn’t apply to new technology. Kind of like if the horse trade organization said that all cars needed to have distemper shots so they were healthy. The two don’t necessarily work together. All the TNC’s are trying to work the bugs out, but currently, no one has a permit. TNC’s cannot drive you or pick you up from the airport. Please pass this along to all your friends, neighbors, everyone. This has become more of a problem because the airports and especially SFO are starting to crack down. I see reports daily of drivers for many of these TNC’s getting stopped and ticketed for dropping off or picking up passengers at SFO. I’ve heard that it’s happening at other airports in California as well, but SFO is the worse. Some of the TNC’s are being a bit passive aggressively defiant in that they are telling drivers they will cover the cost of the ticket [which I have heard runs between $220-$600 depending on what they write you up on], but they aren’t telling drivers not to take people to the airport. This makes some of these TNC’s look bad to the CPUC who has given them the right to operate in California. Sidecar has officially told all of it’s drivers to not accept rides to or from SFO and that is easy because riders have to put in their destination when they request a ride. Sidecar is also working on blocking requests to the airport until they can resolve the problem with SFO. Those other TNC’s aren’t doing this. Why is this a problem for you the rider? The CPUC has given TNC’s a right to operate in California and it was the first state where this was done. All of these companies have started in San Francisco as well so we are the bullseye that everyone is aiming for. Many of you love TNC’s because they’re more pleasant than taxi’s. TNC drivers are held more accountable than taxi drivers to the point that we’re seeing a lot of taxi drivers changing their attitude and coming over to work for TNC’s because they can make more money with less outlay of cash [you do realize that taxi drivers have to pay upfront before the cab even leaves the lot]. In San Francisco and the Bay Area TNC’s have changed the way people get around. TNC’s you can request and they show up within minutes. They don’t demand a tip [though they appreciate it], you will never hear, machine is broken, cash only and in general the drivers are much more pleasant to ride with. Pricing can even be less expensive than a cab frequently. If you want to see this all go away then go ahead and book rides to the airport. There will always be drivers who will take the risk that don’t understand that while they might get $35 from that ride to the airport [less than a taxi] in the end they could help bringing TNC’s in San Francisco, California and then spreading out to the rest of the country and world to an end. I happen to like driving for a TNC and I’ve met lots of fun and interesting people and made lots of new friends. I know I’m helping out people who need to get somewhere quickly and it’s giving me a way to make money on a flexible schedule. Please do not ask for trips to the airport because if you do you might find yourself walking home at 2am on a Saturday night or waiting an hour to find a taxi to hail.